One of those street artists was playing around in Piazza di Pietra, for children's (and photographers') delight. This is rather charming - I like that there are no people in the scene, just disembodied bubbles! Right place, right time, right click! Bubbles being shared with life! This I completely adore. Fav. Love the magical feel of this shot, so many thought bubbles?? I thought it was a model dunked in water but its much more romantic than that. @yrhenwr Isn't it? Thank you! There is a old time feel of this shot. 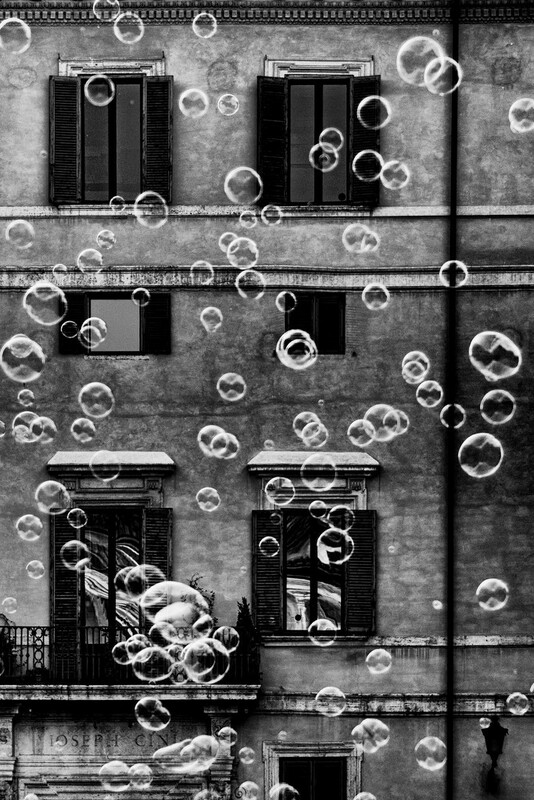 may be the bubbles.A simple joy. I love bubbles...so I love this! Fav. @caterina Thank you very much, Caterina. I can't help watching bubble makers when I see them making their magic. It's childish, but who cares. Thank you for the fav! @robz Thank you very much! @gardenfolk Many of us here, then! Thank you a lot. @stefneyhart Thank you very much!